Internet of Things in today's world is taking the meaning of connectivity to a whole new level. And this includes integration of IoT in various industry verticals, one of them being app development. So if you want to get a better understanding of how IoT impacts mobile app development, keep on reading this article. 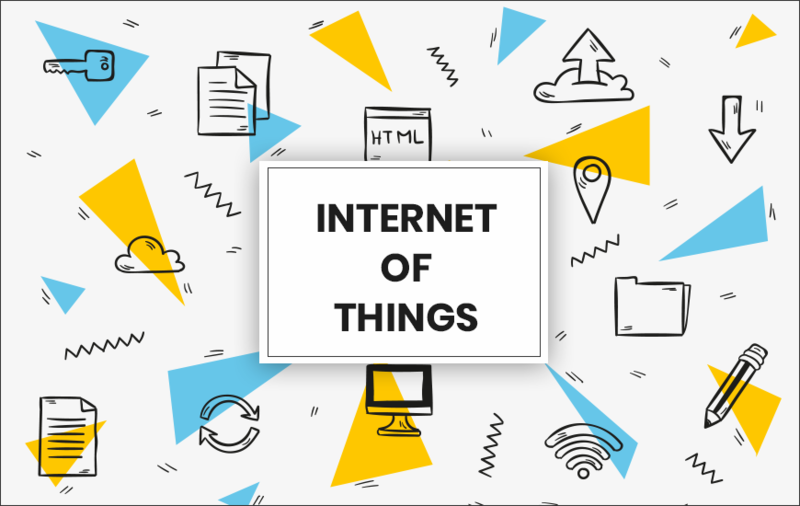 But before we can get to know about the ways that application development is facing the impact of IoT, let's go through the basics of the Internet of Things. The term IoT was coined back in the year 1999, Internet of Things also known as IoT can be referred to as a network of devices (or objects) that consists of embedded technology in them. With the help of this technology, these objects are able to communicate as well as interact with one another. The connection between devices can occur between various physical objects, for instance, in office/home space. Some examples of appliances with IoT integration are light fixtures, smoke alarms, etc., mainly devices that users can connect with any other device or directly to the Internet. Another great example of these devices is the 'Smart Things' i.e. smart gadgets that can be easily accessed and even controlled from a remote location. These smart things are currently being used in a wide range of industry verticals which includes healthcare, entertainment, education, and transportation as well. 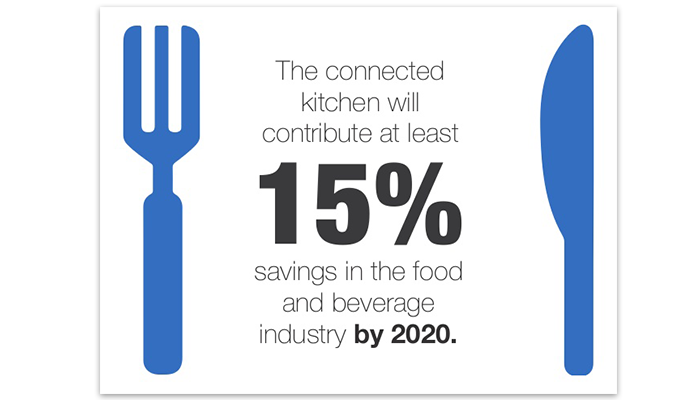 According to a report by Information Age, the connected kitchen alone will contribute at least 15% savings in the food and beverage industry by the end of the year 2020. These statistics represent the importance of the application of IoT in dominant sectors across the globe. How IoT Impacts Mobile App Development? A majority of mobile app developers might not be aware of where they should start with the Internet of Things (IoT). This is because the IoT technology can be very expensive and the app developers are not willing to risk a huge amount of money at once. The process initiation for the Internet of Things is not a set of predefined fundamentals. The interesting part is that IoT technology is nothing but a collection of several components that are combined together to provide collective output. So, it is important for the app developers to learn about the IoT basics first before the technology implementation. The process of developing and designing a mobile app is usually conducted on different levels and the same approach is taken by the software developers for IoT mobile apps as well. Although when it comes to using a new emerging technology, the analytics regarding the targeted audience requires to be under more consideration. As an app developer, you never treat the two projects with different technologies the same way. That's why it is a better option to develop a new approach or language to deal with a particular technology that is still in its initial development stage. 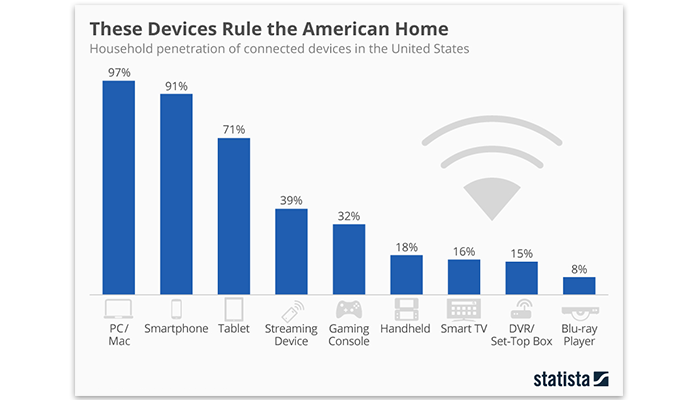 The above image shows the analytics of an IoT report by Statista which states that an average household in the United States has 10 active connected devices and households with 4 or more people even have 19 devices on average. So, the developers must figure a way out to resolve these issues related to the connectivity of the Internet with the ‘Smart Things.' That further means that IoT applications require an upgraded integration gateway or a standalone device similar to a DSL modem with a different connection protocol. Because the Internet of Things is quickly becoming an essential part of today's mobile application development systems and its integration is promoting app developers to develop innovative applications. For instance, nowadays there are many tech giants like Microsoft and Amazon that are adding more features to provide the developers to adapt to the technology of IoT. With the support of these Fortune 500 companies, we can say that in the upcoming years, the Internet of Things will be much more inclusive in different fields of work. This will eventually make IoT available to all those people who have knowledge of coding and can develop apps and software. When it comes to creating the Internet of Things apps, the app developers have to start right from scratch. This makes the process more time consuming and prone to more errors. The issue here is that there is no Web-based platform available for the IoT app development, due to this the developers need new software for the process. There are many sectors that are taking advantage of IoT such as healthcare, energy, agriculture and many more. With each adaptation of IoT, we can see it joining the list of prominent technologies. This can be really beneficial for the introduction of services like connected wearables, smart cars, connected retail and smart cities. The Internet of Things is encouraging a new horizon of innovation in the mobile application development industry. The ability of IoT to transform any object into a smart device is exactly the reason for its rapid adoption in different business verticals. There are hundreds and thousands of mobile apps that have been created for platforms like Android and iOS so it won't be completely out of the box if we can find our way to one unified platform for IoT apps. This platform can act as a huge platform for the Internet of Things that we are missing today. To keep yourself updated with the journey of the Internet of Things and its evolution in the field of mobile app development make sure to hit that 'Subscribe' button and join the growing family of MobileAppDaily. Also, we would love to know what you think on the topic of the Internet of Things (IoT Technology) by commenting in the section down below.